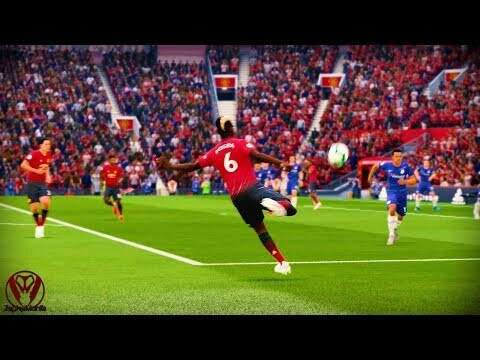 FIFA 19 is football worthy of champions and everything connected with it. FIFA 19 with the UEFA Champions League is control in every moment and unsurpassed game modes. And also: the final of the “History: the champions” mode, the new FUT mode, etc. Champions are created in FIFA 19. UEFA Champions League. In this legendary tournament, the best clubs in the world make history and make dreams come true. FIFA 19 is literally permeated with the atmosphere of the UEFA Champions League thanks to the official registration of matches, various tournaments, as well as the new commentary composition in the person of Derek Ray and Lee Dixon (for the English version). Try brand new modes. Absolutely new separate game mode UEFA Champions League will allow you to go all the way from the group stage of the famous tournament to the final at the Metropolitan Stadium in Madrid. ** Create a dream roster with dynamic updates of the UEFA Champions League and Europa League in the FIFA 19 Ultimate Team. Complete the “Story”. The story of Alex Hunter ends in FIFA 19. Become part of the history of a football star on the field and beyond in pursuit of the glory of the UEFA Champions League.